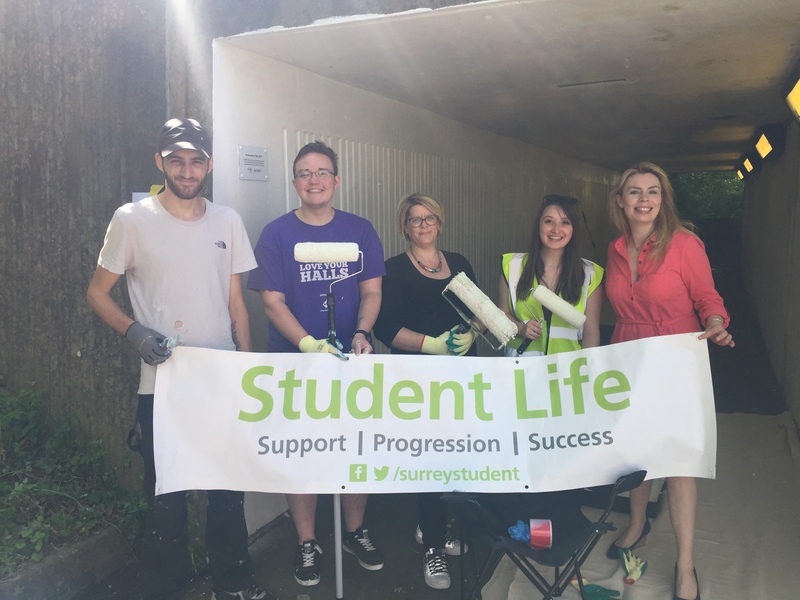 Student Life Mentors Paint An Underpass! A group of Student Life Mentors offered their time to paint an underpass in Park Barn last week. Within a couple of hours the underpass was transformed from drab and dingy to bright and airy! We were very proud of the Mentors helping out in the local community. Student Life Mentoring worked with the North Guildford Community Warden Team to undertake this project and a great (rewarding) time was had by all!